We sifted through hundreds of iron supplements to find the best iron supplement for you. Learn how they differ and what to look for in a product. There's no substitute for a well-balanced diet and exercise. However, unless you're eating a lot of spinach or other iron-rich foods, you probably aren't getting enough iron. A good multivitamin helps, but they tend to balance the vitamins and minerals. Your body needs more of certain vitamins and minerals that the daily recommended dose a multivitamin provides. How Will an Iron Supplement Benefit Me? Are There Side Effects Associated with Iron Supplements? The supplement and vitamin markets are flooded with different brands all claiming they're the best. Hundreds of varieties of any conceivable supplement saturate the market and make it difficult to determine which products work. We did the hard part for you and tracked down the best iron supplement available. Amount of iron in the supplement: adding 15mg to 25mg of iron to your diet is usually all you need. Taking more iron, without a doctor's advice, is harmful and causes side effects. 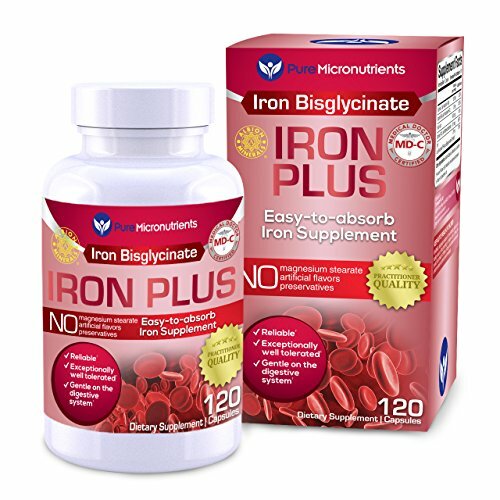 Our pick for the best iron supplement meets the daily needs of most people. The type of iron in the supplement: some supplements use an iron that is hard to digest. These supplements are cheaper, but they are wasted in your body because your body can't absorb the iron. Iron bisglycinate chelate, iron bisglycinate, and iron ferrous chelate are the best iron supplements. Your body digests these types better. Brand quality and reputation: the reputation of the manufacturer is essential. We left out brands that use hard to digest iron or got poor customer reviews. Cost: no price is too high for good health. That said, we searched for high-quality products at affordable prices. Bonus nutrients: your body needs help absorbing and using iron efficiently. Iron supplements that include vitamin C, which helps your body use iron, are better options compared to supplements that are just iron. This is the best all-around iron supplement on the market. It's packed with bonus nutrients like vitamins B-12, C, and folate. Those vitamins help your body absorb and use iron efficiently. Customer comments on the brand are positive with many reporting multiple benefits. For the money and the bonus vitamins, this is the best iron supplement we found, and we looked at hundreds. This supplement beat our number one choice on price, but it lacked some of the vitamins necessary to ensure fast easy digestion. Be wary of the dosage. Each tablet is a daily dose but contains 65mg of iron. If you don't have a severe iron deficiency, that is too much iron. However, digestion is slower than other supplements so that you won't get the full 65mg. We like the cost of this supplement best. 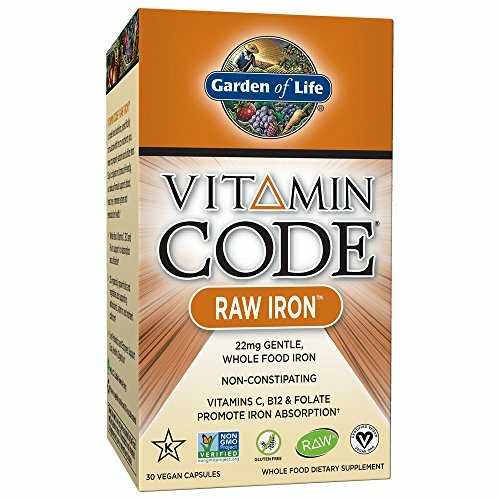 At 25mg per pill, this low dosage iron is an excellent option for anyone with a minor iron deficiency. 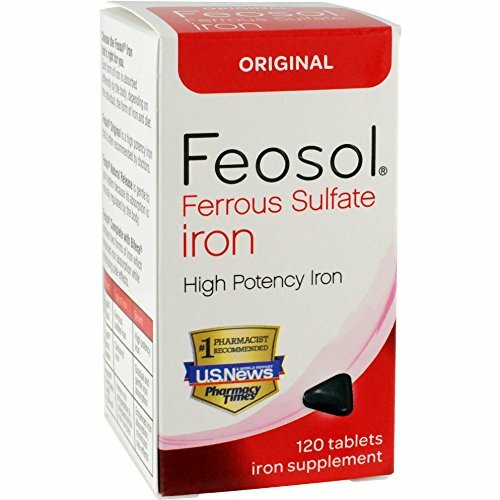 If you don't have an actual iron deficiency but need extra iron due to pregnancy this supplement is your best choice. It includes vitamin C to help your body digest and use the iron rapidly. this product is the most affordable of all the supplements we reviewed. However, the iron used in the supplement is a low tier iron. It’s still in the list of quality iron supplements, but it doesn’t use the best iron on the list. This product only missed the number one spot based on the type of iron used. 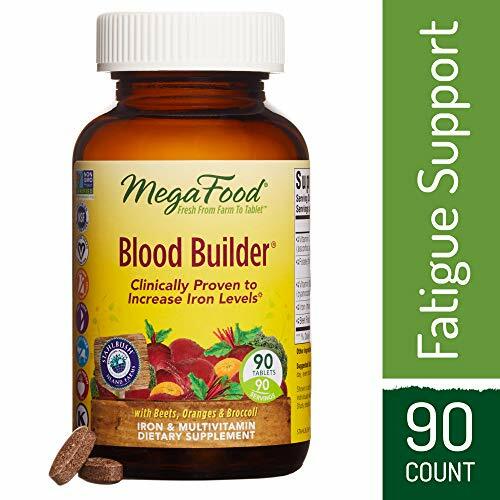 If you experience stomach issues related to iron supplements, try this product since the iron digests slower and is less likely to stimulate a gastric response from your body. this product contains 125mg of beetroot. Beets are a naturally iron-rich food. The elemental iron content is low, but this works out for people that need a low dose. For example, healthy women that aren't pregnant need less iron than someone with gastric ulcers. A small dose is the best place to start if you don't take iron regularly. Arguably, the most important thing to consider is the amount of elemental iron the supplement contains. The label may say 400mg, but the actual elemental iron content is much lower. The amount of elemental iron can vary wildly from 5mg on the small side to 100mg on the high side. Somewhere in the middle is where your supplement probably needs to be unless you have a condition that requires more, or less iron. Always take iron supplements on an empty stomach, so your body will digest and use the iron more readily. However, there's a chance the supplement can irritate your stomach and cause a handful of other minor side effects. Products that contain vitamin C are a better option if your body reacts poorly to iron on an empty stomach. 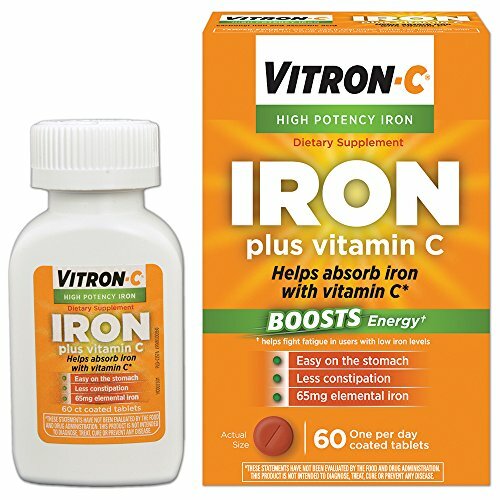 The vitamin C helps your body use iron more efficiently if you need to take the supplement with food. Consider the side effects and swap to a lower dosage if you experience any problems. The side effects are usually mild and go away after you take an iron supplement for a few days. If you have never tried it, opt for a lower dosage supplement until you see how your body reacts to it. If you do have problems and they persist, consult your doctor or pharmacist to find out if any current medications you are taking or any medical conditions you have don’t play well with iron supplements. The price for iron supplements varies, but most not by much. It's unlikely the amount will affect your choice. That said, be wary of products that contain low doses of elemental iron at higher prices. There are some products on the market that contain very little elemental iron but demand a high price. Products that contain around 60mg of elemental iron are ideal. The best supplements for the price is 60 one serving capsules that contain around 60mg of elemental iron. It's even better if you get 100mg or more vitamin C as well. Some people benefit more from adding an iron supplement to their diet than others. If you get enough iron for your body through regular meals, adding more iron won’t benefit you. So, you need to know if your body needs more iron and why it needs more iron before choosing a supplement. Naturally, before adding an iron supplement consult your physician to make sure iron won't affect or clash with any current medication. Iron deficiency anemia: millions suffer from this common condition. It is caused by gastrointestinal bleeding, menstruation, stomach ulcers, and blood loss to name a few causes. It causes health issues including feeling generally weak, dizziness, fatigue, and several others. People on plant-based diets: meat is one of the best sources of iron. There are plants with high iron content, but no one wants to eat a bucket of spinach every day. If you aren't a meat eater, consider adding an iron supplement to your diet. Pregnant women or women trying to get pregnant: according to the National Institutes of Health, pregnant women need about ten more milligrams or iron than women that aren't pregnant. In most cases, pregnant women need approximately 28mg of iron per day. Low iron levels while pregnant or nursing has adverse effects on you and your child. Women who menstruate: menstruation depletes iron levels in your body. Adding an iron supplement before, during, and after menstruation keeps iron levels up. People that lose blood regularly: If you donate blood periodically or have gastrointestinal ulcers an iron supplement will replenish iron levels. Like women that menstruate, regular blood loss depletes iron level in your body. People that eat an unhealthy diet: it is possible to get all the iron your body needs from a well-balanced diet. However, if your diet is mostly fast food or processed food then chances are your iron levels are low. How often do you eat dark beans, fish, red meat, spinach, or turkey? If you don’t eat these things regularly, you probably have low iron levels right now. Athletes: if your level of athletic activity is high, your body needs more iron than someone that isn't very active. Studies show that athletes need between 20 and 30 percent more iron on a daily basis than someone that leads a sedentary lifestyle. Most people taking a regular iron supplement see no side effects. Some medical conditions and some medications react poorly to extra iron. Check with your doctor or pharmacist to make sure it’s safe to use an iron supplement with your current medication. Get the ok from your doctor to add iron if you have a medical condition that iron will aggravate such as chronic constipation and some hemoglobin diseases. If you have Crohn's disease, diabetes, ulcers, or any blood disorders, talk to your doctor before you start taking an iron supplement. Ask your doctor if iron will affect any conditions you have or if it will interfere with your medication. Don't take chances with your health. Always seek the safe road and discuss things like this with your doctor. Make sure any iron supplement you decide to take is high quality. Iron helps your body in many ways. It boosts your immune system and helps regulate body temperature. Some studies suggest iron increases your ability to focus and recuperate energy losses due to exercise or other strenuous activities. Like most vitamins and minerals, we don’t miss them until they are gone. You probably need more iron than you get from your diet. If you lose blood regularly or you are pregnant, your body needs more iron. The key is understanding your body and how much iron it needs. Some experts recommend pregnant women take an iron supplement between 40mmg and 60mg daily. We can't tell you how much iron your body needs, but we explained the symptoms and the reasons earlier in this article. If you experience any signs, your body needs more iron, consult your doctor to get a recommended dosage or start with a low dosage. Dosage is critically important if you are pregnant. If you eat a lot of dark chocolate, shellfish, beef, or animal organs such as liver but still show signs of iron deficiency, a low dosage is the best place to start. If a hefty daily dose of iron, around 60mg, causes constipation or other problems, add iron-rich foods to your diet and use a lower dose iron supplement. Ask your doctor about iron deficiency and get their advice on how much to take if you experience side effects at high and low dosages. Your health is important. Don't take any chances with it. Do the research, learn about the benefits of iron, and be careful when you start using an iron supplement. Once you decide you need more iron, make sure it won't affect any current medical conditions or react poorly to a medication you're taking. It’s amazing how a simple thing like iron can improve your health.